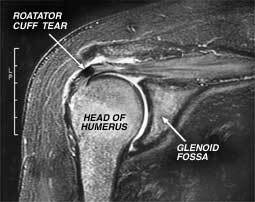 One of the most common conditions we treat as physical therapists is shoulder pain related to the rotator cuff. Whether you are a young baseball player or an active adult, physical therapy should be on your radar prior to opting for surgery. A recent study showed that patients who opted to go through an intensive physical therapy program performed just as well and had similar patient satisfaction reports as their surgical counterparts. So what does this mean? If you are suffering from shoulder pain, consider visiting a physical therapist first. A physical therapist can evaluate your shoulder and can help you determine if physical therapy might be a good option for you. A physical therapist can restore your range of motion, strength, and mechanics to help reduce your pain and improve your function. Can Physical Therapy Prevent The Need for Surgery? A different study looked at how frequently physical therapy can prevent the need for surgery. The authors of the study determined that if a patient does not need surgery after completing 12 weeks of physical therapy, then it is unlikely that they will need surgery at all. The researchers also found that nearly 75% of patients with a full rotator cuff tear avoided surgery by completing a physical therapy program. That is a huge number of patients that can benefit from physical therapy opposed to surgery. This not only is important in terms of returning to your favorite sport or activity in a timely manner, it also eliminates the high cost associated with undergoing surgery. This sounds like a win-win scenario. For more information on how a physical therapist can help your shoulder or rotator cuff related pain, call our Cary NC physical therapy office.